Head over to Amazon.com where you can score this Anjou Colorless Bath Bombs 6-Piece Gift Set for just $7.99 when you use promo code J6UZBM9E at checkout! That makes each bath bomb only $1.33! These large bath bombs are made from all natural ingredients and essential oils such as peppermint, sweet orange, lemon, rose, lavender, and citronella! 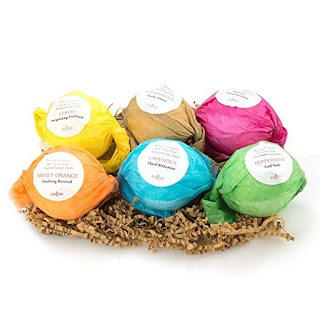 And the six bath bombs are individually wrapped so they are easy to gift separately or together!